Trevor Jackson brings charisma and even depth to the dealer who wants to leave the game. 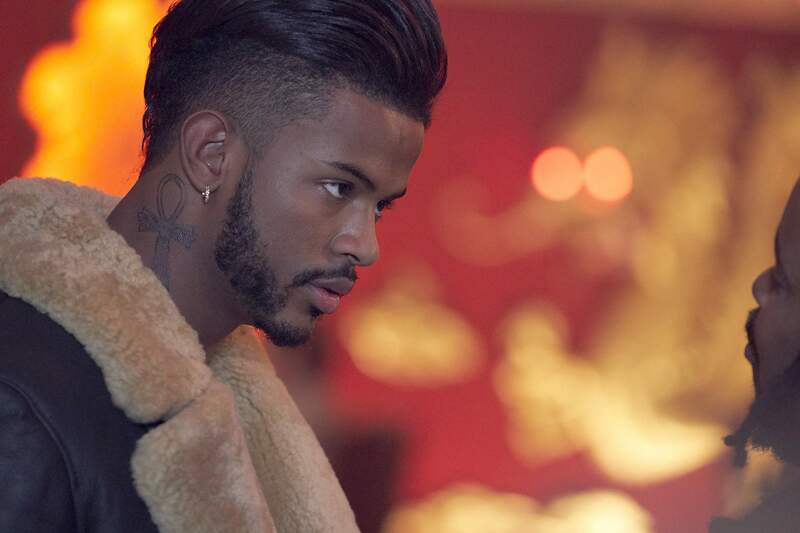 The first scene of “SuperFly” tells you all you need to know about the protagonist, a man called Priest (Trevor Jackson). Entering a loud and crowded nightclub, Priest at first doesn’t seem to belong. He finds a man who owes him money and – with quiet intimidation, but no threat of violence – turns the debtor’s swagger into a plea for more time. Priest doesn’t just belong. Priest is in charge. 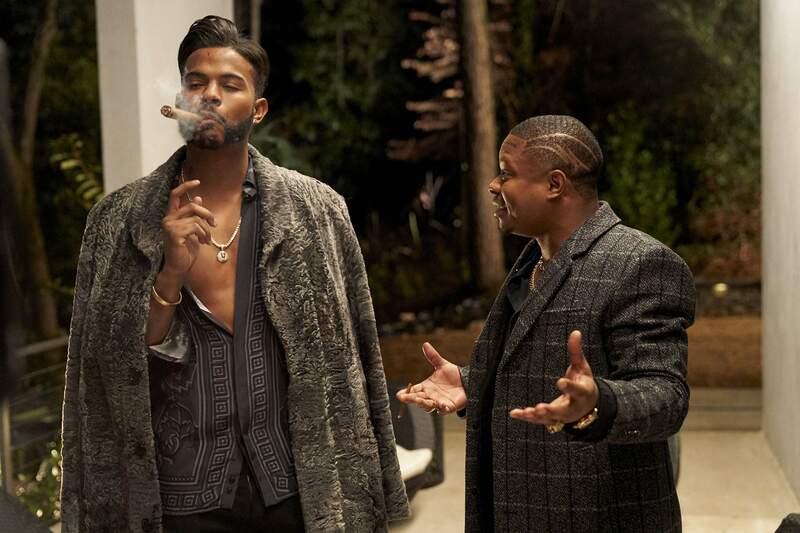 Specifically, he’s in charge of a vast cocaine operation in this reimagining of the 1972 blaxploitation classic “Super Fly.” Some changes, both major and minor, have been made: The setting is Atlanta, rather than Harlem; Priest’s antagonists now include a rival gang called Snow Patrol; and there’s Mexican cartel involved. Otherwise, the basic plot remains the same. Priest’s success largely comes from staying off the criminal grid. He keeps his head down, monitoring his supply and his dealers carefully, and making just enough to afford a lifestyle that, while luxurious, avoids flash that would draw the attention of the police (or, presumably, the IRS). He scorns those who “want more than they should,” because those are the dealers who tend to get caught. Priest’s ultimate goal is to leave the criminal life and retire in style. When the opportunity arrives to do one more major deal, he takes it. Like many movies in which the hero wants to make one more deal before quitting, things get complicated. The charismatic Jackson (of TV’s “Grown-ish”) brings a nice depth to Priest, particularly in his interactions with longtime partner Eddie (“Mudbound’s” Jason Mitchell). Their scenes together have a warmth and wit that speaks to a brotherly relationship. Many of the other actors, however, simply haven’t been given much to do. Juju (Kaalan Walker), the main villain, has little motivation other than being, um, villainous. And, as Priest’s girlfriends – yes, plural – actresses Lex Scott Davis and Andrea Londo seem to exist in a character vacuum. They’re the lucky ones; most of the other female characters are apparently on-screen merely to be naked and/or killed. Director Julian Christian Lutz (who bills himself as Director X and is known mainly for music videos) shows glimmers of real potential, demonstrating a nice – if inconsistent – eye for composition. One scene will be beautifully shot, with lighting that’s full of life, and the next will have the dim, gray-green look of a hospital cafeteria. That kind of disparity can be an astute aesthetic choice, but here it seems to be random happenstance. Still, he does incorporate some knowing nods to modernity. Some are chilling, as when he shoots a tense encounter between a white police officer and a black motorist from the approximate perspective of a dashboard camera. Others are humorous, such as when a Confederate statue topples in rather dramatic fashion. Did the original “Super Fly” need to be remade? Not really. The new film is a decent example of the barrage of reboots storming theaters lately, but that’s all it is: decent. What it really wants is to be a bit more than it should be, or is. As Priest warned us, that rarely results in success.